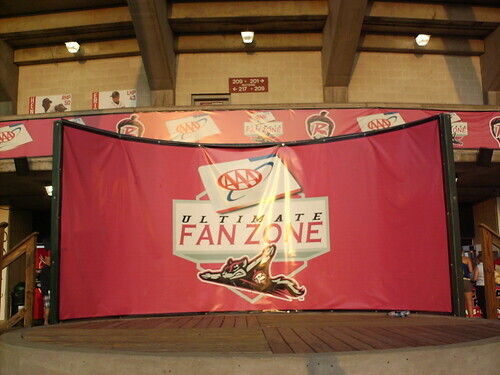 A performance stage is set up as part of the fan zone inside the main gate. 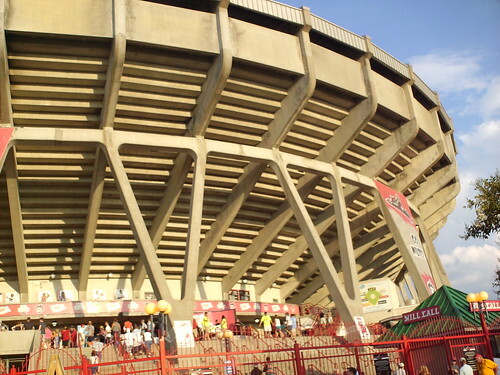 The sun peeks through the framework of the stadium onto the picnic deck on the concourse. 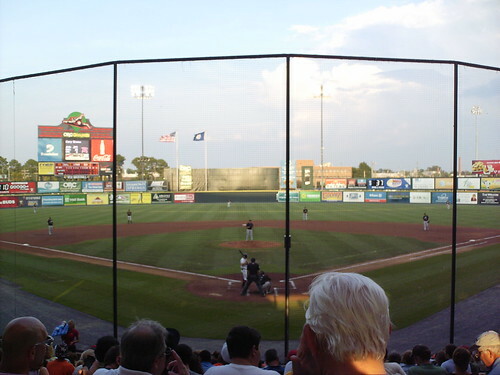 The view from behind home plate at The Diamond. The view from down the third base line. 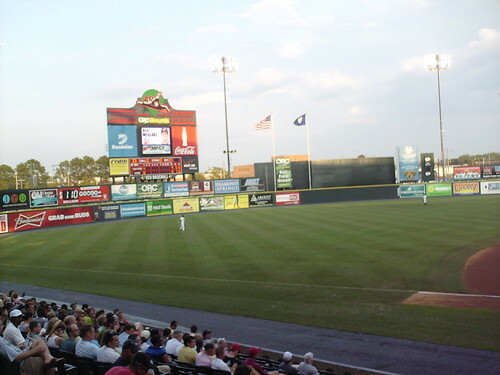 The buildings of downtown Richmond can be seen over the right field wall. The view from down the first base line. 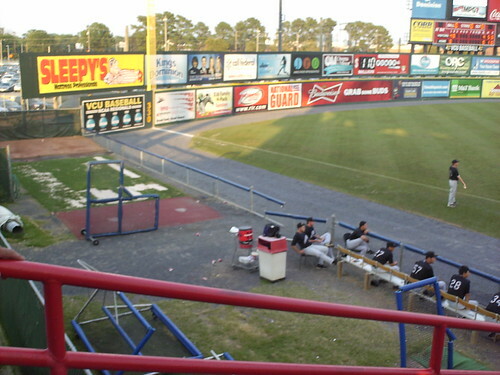 A large video board sits atop the original line scoreboard in left field. 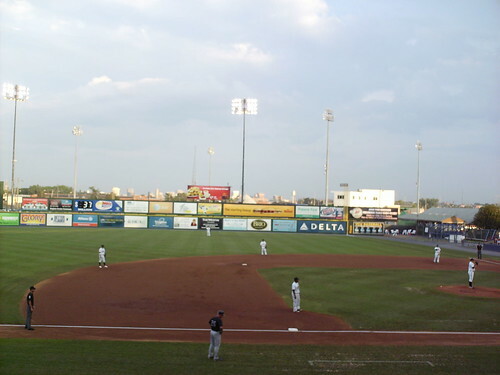 The outfield at The Diamond is uniform all around, as was the norm for stadiums of its era. Spacious bullpens sit down each foul line. 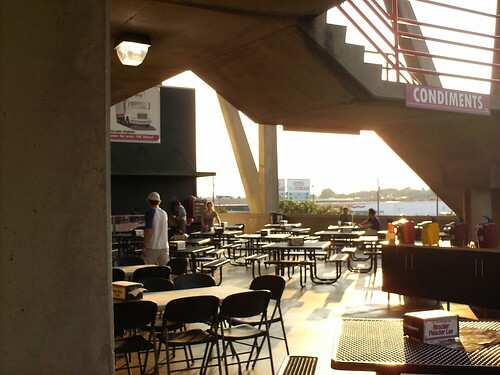 The grandstand at The Diamond. 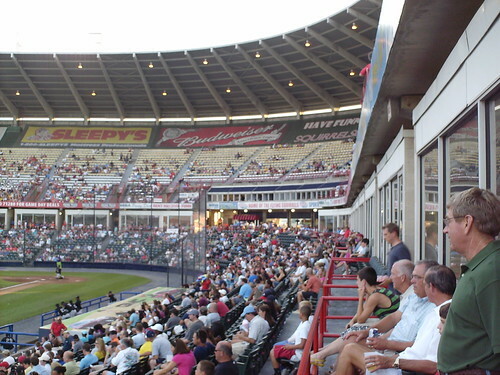 The luxury suites are at concourse level, with a huge upper deck above. 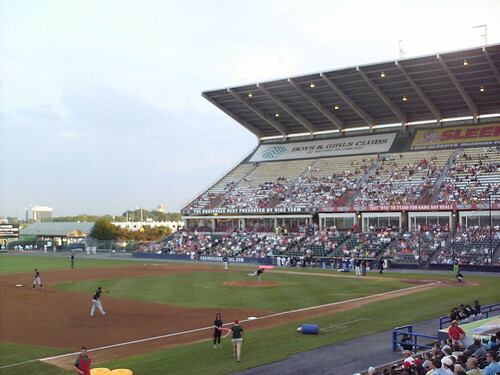 The Diamond is built in the style of the massive multipurpose stadiums of the 1970s like Three Rivers Stadium and Riverfront Stadium, and looks like a semi-circle rather than the "donut" shapes of its major league counterparts. 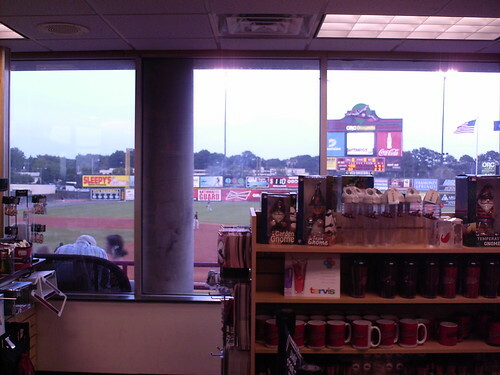 The souvenir store occupies one of the luxury boxes, giving shoppers an excellent view of the playing field. 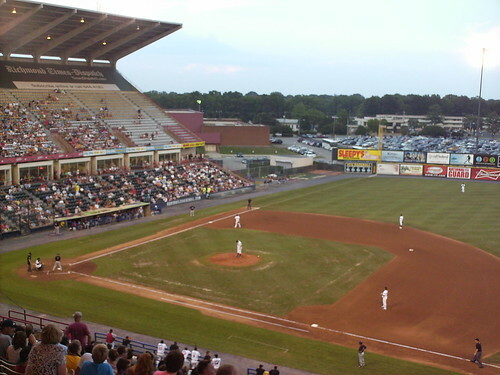 Downtown Richmond as seen from the grandstand. 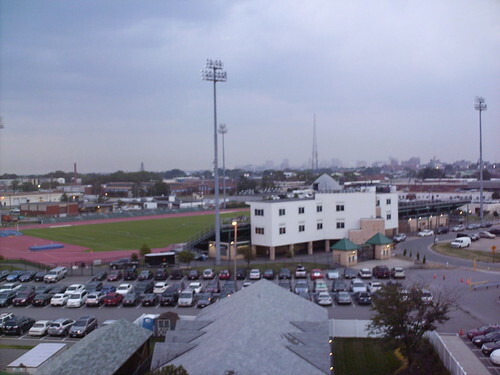 Virginia Commonwealth University's football field sits in the foreground. 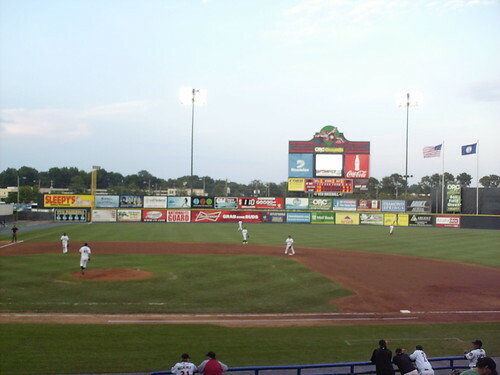 The Richmond Flying Squirrels on the field at The Diamond.